Cafe point-of-sale (POS) systems help small coffee shops and eateries efficiently manage counter, seated, take-out, and delivery orders, and organize general business needs. We evaluated a variety of cafe POS systems and compared them based on price, customer service tools, order-taking, and ticket-tracking features to determine the top six, including the best overall. Most cafe POS systems deliver basic counter sales functions and store management features like payment processing, sales tracking, menu management, and business analytics. However, certain features set a basic retail-oriented POS apart from one geared to meet the demands of a busy cafe, beverage bar, or eatery. Based on the above criteria, Square is our top choice for cafe POS systems. Square POS is free to use and comes with built-in payment processing that has some of the most competitive rates for businesses, with a transaction average of less than $20. 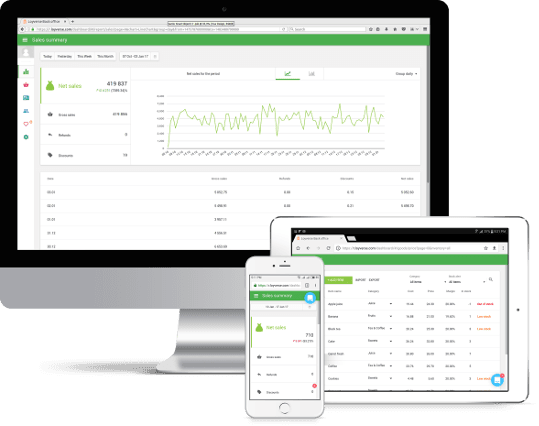 In addition to being the most cost-effective option, Square has a very intuitive design that is easy to navigate and also includes features like basic inventory management, sales reports, and a customer directory. Square tops our list for small cafe operations because it’s a free POS system that can be customized to your specific service needs. 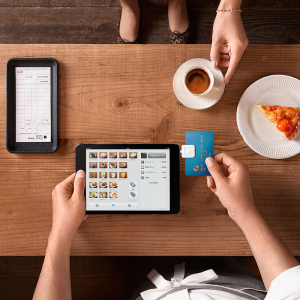 Square delivers a full suite of sales, inventory, and customer management tools on a budget-friendly iPad designed to help any cafe startup or small eatery run efficiently. Take orders and payments anywhere in your cafe via countertop register or mobile device. Many cafe owners prefer to run at least one register station. Square offers an unlimited number of registers and users for free. Cafes can set up multiple iPad registers and even ring up orders on a smartphone. Unlike other cafe POS systems on our list that charge a monthly fee per register, Square is free to run on one or 100 separate registers. Despite its low price tag, Square is packed with features that cafe owners and staff alike will appreciate. 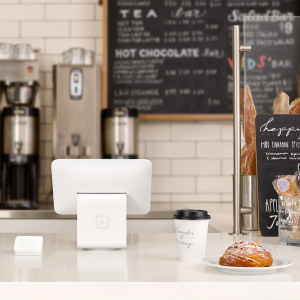 Square’s secure payment system is built right into the POS software, so there’s no complicated merchant provider setup and card reader integration needed. Add to that a complete suite of tools that help you track inventory items, create and categorize menu items, manage staff time, and market to customers, and Square delivers what most cafes need in a POS. Some of Square’s advanced features* are add-ons that come with a monthly fee. However, if you need these features, you’ll find it’s worth the fee, plus you only pay for what you use. The real beauty of Square’s system is that a shoestring operation can start with a feature-packed POS system with $0 cost and add needed features as growth demands. 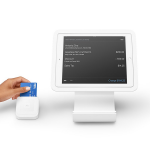 Square Register offers a built-in customer facing display. Square charges no monthly, startup, or cancellation fees, but if you accept credit or debit card payments, Square does charge you a processing fee per sale. For most in-store cafe sales, this runs 2.75 percent of the total ticket, which is quite competitive in terms of small business credit card processing fees. Plus, there are no hidden fees or end-of-month charges with Square’s completely transparent, predictable fees. Cash and check sales cost you nothing. You must use Square to process credit card payments: Square is a credit card processor, so you can’t use your own merchant account provider and try to get lower rates. However, Square offers the best deal for cafe sales, plus you can usually negotiate a lower processing rate with Square once you reach a high sales volume. See how Square’s fees compare to others. Square doesn’t tie ingredient inventory to menu items: You can set up menu items with inventory quantities, but Square doesn’t let you tie ingredients in inventory to menu items. So, you can’t deduct ingredients automatically from stock quantities as menu items sell. This more advanced inventory management feature is available with other top picks on our list, like ShopKeep and Lightspeed Restaurant POS. The lack of these two features is why we recommend Square for small cafes and startups. However, if you’re a larger operation that doesn’t need these two features, Square is worth a serious look. It certainly packs a lot into its sleek, modern, nearly zero-cost cafe POS system. Overall, Square has good reviews. Most users love how easy it is to use Square. Most of all, businesses love that Square is free. Users also like Square’s mobile app for line-busting or taking payments on the go. Visit our Square POS review page for details. The first step in getting started with Square is to sign up for a free account. There is no application process, startup fees, cancellations, or monthly minimums. Just create your account on the website, download the app, and start using Square POS and Square Payments right away. Visit Square to get started. Loyverse is another free cafe POS solution, and one of its many impressive features is a built-in loyalty program with no add-on costs. Loyverse is a great cafe POS for businesses that want a free POS system with a loyalty program, and the freedom to choose your own payment processor. Loyverse cafe POS software can be downloaded to both Android and Apple devices, and the backend is accessible from any device or computer. Along with its free price tag, Loyverse helps you control costs by being compatible with both Android and Apple devices. This can be a major savings if you already have tablets and smartphones. Loyverse even provides a complete list of hardware compatible with each type of system so you can build out registers. As soon as you download and set up Loyverse, you can start accepting cash and check sales. For credit card payments, you need to sign up with one of Loyverse’s compatible payment processors: Vantiv, SumUp, or iZettle. Each of these lets you accept all types of credit card payments (swipe and chip cards), along with ApplePay and Android Pay. You’ll get Loyverse-ready credit card readers and terminals from the payment processor you choose. After setting up a payment solution, you’ll find everything else you need to operate your cafe or eatery built right into Loyverse’s amazingly robust cafe POS system. You can create menus, track ingredients for menu items, take orders and complete sales at registers or tableside, send marketing messages to patrons, and much more. Plus, you have the loyalty program available to customers from day one. All in all, the features list is impressive, especially considering Loyverse’s free price tag. Like Square, Loyverse is free cafe POS software with no startup, monthly, or cancellation fees. You will have to pay credit card processing fees if you accept credit card payments, but these depend on the processor you choose. Recording cash and check payments cost you nothing. You will have hardware costs for any register cash drawers, printers, tablets, or smartphones that you need to buy. However, you can purchase these wherever you find the best deal. Therefore, cost-wise, what you pay to set up Loyverse can be $0, or more depending on your hardware needs. There’s very little missing from Loyverse’s cafe POS system features, but users do report a few things on their wish lists. You can’t print a bill for seated service payments, receipts print when the payment is completed. For seated service, you’ll need to complete checkout on a mobile device. This is a hiccup for some eateries, but for most cafe sales needs with counter service, this isn’t a problem. Another shortcoming that users report is the lack of integrations to outside partners. Currently, there are no integrations to connect with online ordering, email marketing, or bookkeeping software. These are things to look for in the future as Loyverse opens up its API for integration, but that hasn’t happened yet. Aside from those issues, Loyverse delivers a full suite of cafe POS tools with a free loyalty program, which is all many shops need to run smoothly and grow a loyal following. Reviews for Loyverse are very positive, particularly on the Apple app store. Of course, businesses like that the program is free to use and packed full of features. Loyverse is also available in many different languages, which is a bonus. Reviewers say that customer service is responsive and helpful. Visit our Loyverse review page for more feedback. Lightspeed Restaurant POS is a feature-packed POS system that delivers every management tool a cafe or small eatery needs. Lightspeed’s multi-location management capabilities let you efficiently manage several cafes within one centralized system. If you need to manage sales, inventory, staffing, orders, delivery, and more, Lightspeed POS does it all and tracks every detail per-location. With robust built-in features and countless integrations, Lightspeed answers every sales, inventory, seating, and kitchen management need a cafe owner can dream up. The only real downside is that all of these features lead to a lengthier setup than other POS systems on our list. Plus some perks, like loyalty and email marketing, require third-party integrations and added setup. This is why we tend to recommend Lightspeed for larger operations. For all of its features, Lightspeed Restaurant POS is reasonably priced, starting at just $69 per month. Another cost-saving plus is that Lightspeed works on a variety of devices that you might already own: iPads (including Pro and Mini) and iPhones act as registers, but you can access the back-end management system via any computer, tablet or smartphone. Lightspeed Restaurant POS has a tiered price structure. Monthly fees start at $69 per month for one register and go up to $198 per month for up to five registers. After five, you pay an added $37/month per register. If you run a large operation or several locations, you’ll want to contact Lightspeed for a custom quote. Priced against other paid cafe POS systems on our list, Lightspeed runs just $40 per month per register if you need 5, which is less costly than both ShopKeep and Toast. That’s something to consider when considering paid POS options. Lightspeed can handle just about anything in a cafe operation, though features like online ordering, a loyalty program, and email marketing require third-party add-ons. This means you have to set up these accounts and pay for added services. However, if you need to manage a high-volume shop or several busy locations, Lightspeed’s core inventory, staff, and cafe sales management features are top notch. Because of this, we recommend Lightspeed Restaurant POS for the larger, fast-growing, or multi-location cafe business or eatery chain. Smaller and startup operations are usually better off with Square or Loyverse. Lightspeed Restaurant has stellar reviews. Users like that it has a sleek interface, easy navigation, and lots of features. There are not many negative reviews. However, it is one of the priciest cafe POS options on our list. Visit our Lightspeed POS review page to learn more. Lightspeed helps large and multilocation cafes manage every detail of their business from one convenient dashboard. The first step in getting started with Lightspeed is visiting its website and booking a free demo so you can see all of the features for yourself and ask any questions. Then, sign up for a 14-day free trial, no credit card required. Visit Lightspeed to get started. ShopKeep offers a full range of POS features, but its raw goods inventory tracking takes the cake. It lets you tie the usage of each food ingredient or consumable, like an egg or a paper cup, to each sale. This feature helps you accurately reorder supplies based on specific sales and usage data. Detailed ingredient-level inventory tracking is just one highlight of ShopKeep’s excellent cafe POS software. It also offers a powerful set of sales, ticket management, and employee tracking tools, and delivers it all in an easy-to-use iPad-based interface. You can also use your choice of merchant services providers for credit card payments, like Cayan, or use the built-in ShopKeep Payments. ShopKeep doesn’t publish its pricing online but, in our research, most small cafes and retail stores are quoted $69 per month per register to access the software. That applies to both countertop and mobile devices. If you want to use one countertop register and one mobile iPad, that’s $69 per month times two. However, you can have unlimited users on these systems, so you’re not paying per-user. ShopKeep uses iPads and iPad Minis as registers, and you do have to purchase these from ShopKeep. Here’s what it will cost you to set up and run ShopKeep in your cafe. If you run a seating area, ShopKeep doesn’t track table layouts for seating or assigned waitstaff stations. Plus it doesn’t have an actual kitchen or drink line screen. Instead, it prints tickets to these locations. Some of our other picks offer these features, which are nice for larger operations, but most small cafes can do just fine without them. Compared to some on this list, ShopKeep’s $69 per month, per registration fee can be a bit pricey. However, if tight inventory control is a must for your operation, ShopKeep’s stellar inventory tools, many sales features and excellent 24/7/365 support can be worth every penny. ShopKeep has decent reviews. Users like that it is easy to use, and ShopKeep’s customer service is helpful and responsive. Some reviewers also say ShopKeep’s payment processing rates are competitive. However, some reviewers say the system can be hard to customize and pricey. Visit our ShopKeep review page to learn more. ShopKeep is a popular option with small businesses and does a great job at managing inventory. To get started with ShopKeep, visit its website and take a quick questionnaire so it can recommend the option that is best for your business. Toast is a cloud-based POS with built-in payment processing. It’s chock-full of sales, inventory, and management features designed specifically for the foodservice industry, with add-ons like online ordering, kitchen display, and kiosks available. Of our six top picks, Toast is the most expensive solution but has every feature you need to scale your cafe business. Toast was created specifically for the foodservice industry and it shows. 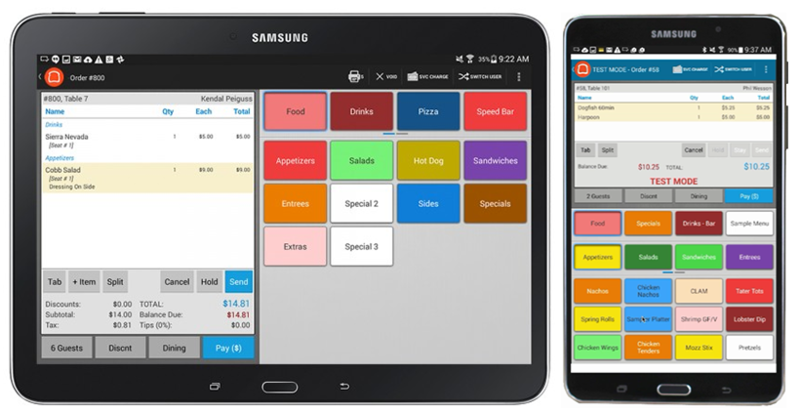 You’ll find detailed menu and order functions at your fingertips on Android-based register and mobile screens. You can tie ingredients to menu items to manage inventory, and even split inventory items to track measures and pours. 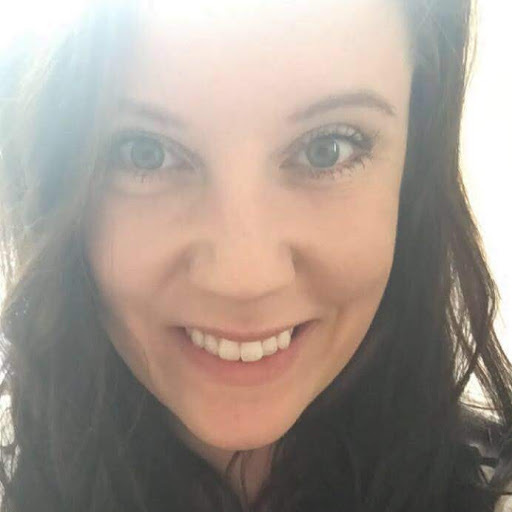 And value-added features like online ordering, email marketing, promotions, and gift cards are built into the system, no third-party add-ons needed. Of our six top picks, Toast is the only that builds every feature on our list into its core system. Some, like online ordering, are paid add-ons, but they’re still built-in features. When you’re ready to turn them on, they’re ready to perform for you. Toast is the highest-cost cafe POS solution on our list. It starts at $79 per month for one register, which is reasonable even for a small shop. Additional mobile or countertop registers run about $50 per month each. However, you also have to buy your register tablets and mobile devices from Toast, and those start at $450. In this aspect, Toast and ShopKeep are similar, unlike Square, Lightspeed, and Loyverse, which you download to your own devices. Toast does discount its monthly pricing based on your volume, so the per-register monthly cost for a busy establishment can be lower. The reason Toast offers volume discounts is that it also makes money off of your credit card processing. Like Square, Toast is its own credit card processor. So, if you run high volumes of credit card sales, you can negotiate for lower monthly fees. For cafe sales, inventory, kitchen, drink line, dining area, and staff management features, Toast takes the cake. But there’s one thing you can’t do if you settle on Toast for your cafe operation: You can’t use your own merchant account provider to process credit cards. You have to use Toast’s built-in flat-rate payment processing services, and these fees aren’t published. You negotiate fees based on your average sales volume when you sign up with Toast. As your credit card sales volume grows, you can negotiate your rates lower, but you’ll never be able to price-shop for a better deal without completely leaving Toast POS. Toast is a great option for growing businesses because it has a robust suite of features like real-time reporting, online ordering, and kitchen display solutions. The first step in getting started with Toast is visiting its website and booking a free demo. Afterward, you will receive a free custom quote. Visit Toast to get started. Lavu is a cloud-based iPad POS system specifically designed for cafes and restaurants. 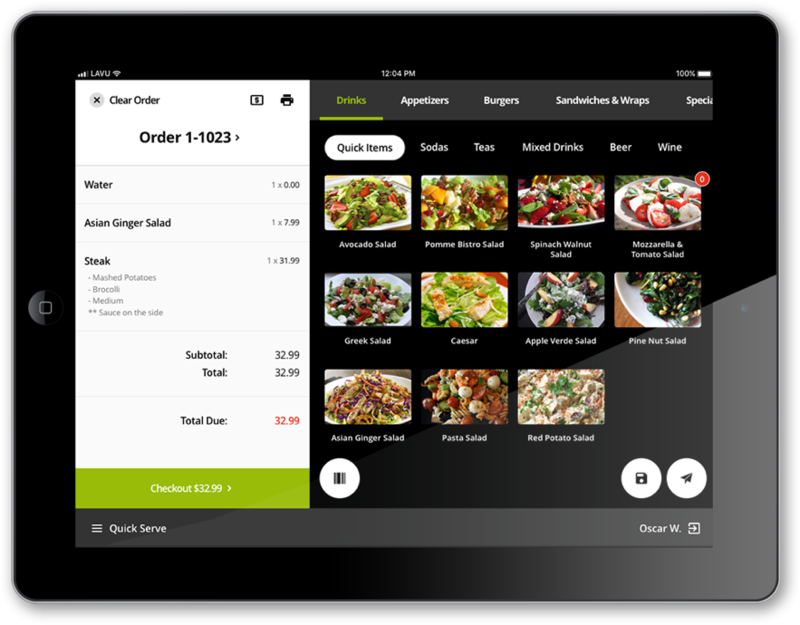 Lavu offers standard features like menu customization, easy order taking, and employee management. What sets Lavu apart are ToGo, Delivery, and Routing integrations which coordinate online orders, pickup orders, and delivery within the same POS platform. Lavu has industry standard features such as menu and table layout customization, the ability to split checks and process payments, and inventory monitoring. More advanced options such as online ordering and digital menu boards are available as add-ons. These add-ons make Lavu a more flexible option compared to other programs because restaurants can pick and choose which features and they want while still having everything run under one program. 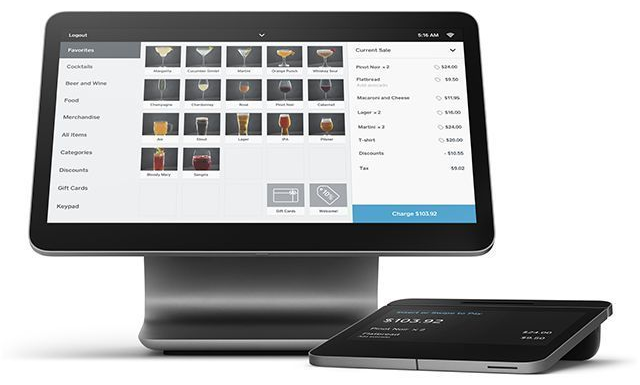 Lavu has so many different features, add-ons, and flexible configuration options that it is a solid choice for any cafe, eatery or restaurant looking for a POS system. Lavu has options for digital menu boards, self-order kiosks, kitchen display system (KDS), to-go features, gift cards and loyalty programs, and more. Plus, Lavu has integrated payments with LavuPay. Lavu starts at $69 per month, per terminal, which is moderately priced compared to similar products in the market, but on the higher end of a cafe or coffee shop. Lavu has its own payment processing system, but restaurants can also integrate other payment processors. Other than $69 per month for the first register, Lavu doesn’t publish much pricing information, so you will have to build a custom quote to receive specifics, especially when it comes to payment processing. Lavu has plenty of extra features available, although its biggest downside is many of them are not included in the base price. Lavu also does not have some features that Toast has that might be required for full-service eateries, such as reservation management or sophisticated floor plan options. Lavu’s reporting features are not quite as robust as Toast or Lightspeed; Lavu reports mainly focus on ingredients and inventory management rather than sales data. Reviews for Lavu are generally positive. However, some reviews state that Lavu is lacking in reporting features. Others state that the software can be glitchy at times, and customer service does not always respond as quickly as the business owners would like. Read our Lavu review page for more information. Lavu’s built-in ordering system, Lavu To Go makes it a great option for cafes that want to offer online ordering, and manage everything directly through the POS. To get started with Lavu, visit its website to book a free demo. Afterward, receive a free custom quote. Visit Lavu to get started. Our top six cafe POS systems all deliver a good core set of features that any cafe or small eatery can put to good use. Which is best for you comes down to fine details. Choices in credit card processors, tight inventory controls, advanced employee management, multi-location oversight, marketing and loyalty programs, and integrations to outside vendors are the areas where these six cafe POS systems tend to differ. Square is our overall top choice because it is one of the only cafe POS systems without a monthly fee, and it has built-in payment processing with rates that are ideal for cafes and coffee shops. Square also has a user-friendly design along with all the basic features you would need to run a small business cafe effectively. Open your free account today. Great article. One most important factor is test drive, visit the company for DEMO before you buy. Find a company who are developers and passionate about POS who can make the system customized to your business. One does not fit all. As you mentioned on the conclusion, POS is just a another computer. A local business would you help you come out of the situation fast, highly likely, than calling a call center and open a ticket. Customer service definitely plays a huge role in any business software decision — especially when it comes to POS which support and enable sales in real-time. Any hiccup can disrupt sales and stop day-to-day activities in their tracks. Thanks for reading and commenting! I’m using XSELL from POS Limited as my setup is not standard and its partly bespoke. Not every POS can be easily configured to specific needs, glad xSell is working for you.